Introducing a new talent to the world of poetry – Jane Lomas! With this her first selection of thought-inspiring, entertaining, rhythmic, and dynamic poems, she makes her words dance off the page into the imagination. Written in a style that is both punchy and moving, these poems are in touch with people, reality, and the problems faced in society today. Aimed to inspire as well as entertain, every word is rhythmically balanced and precise to its purpose, with a deep meaningful message. Some of Jane’s poems are short, for a quick read, while other longer works give you the opportunity to reflect on her free-flowing words. Jane Lomas originally intended to publish her poetry as two collections, i.e. 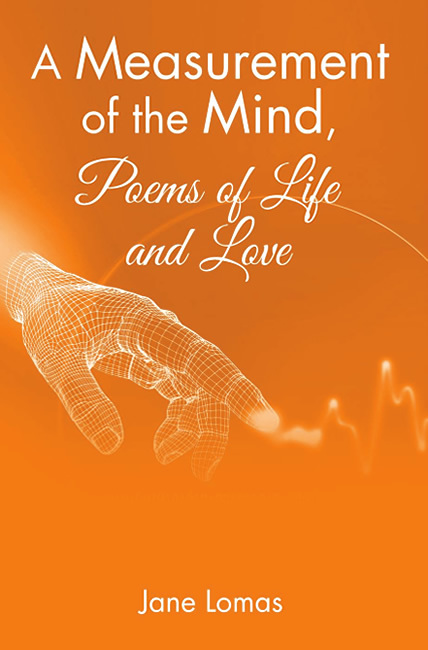 A Measurement of the Mind and Poems of Life and Love. However, her publisher persuaded her to publish all 77 poems in one book, which now represents excellent value for money. Note that ‘Rev. date: 07/29/2015’ (US date format) on the copyright page refers to the final revision of the original manuscript prior to publication.